Felicity Smoak has always been an important part of Team Arrow (to say nothing about Oliver’s life in general), but she’s always been more of a behind-the-scenes girl. Her contributions come from behind a computer monitor, safe at home base. 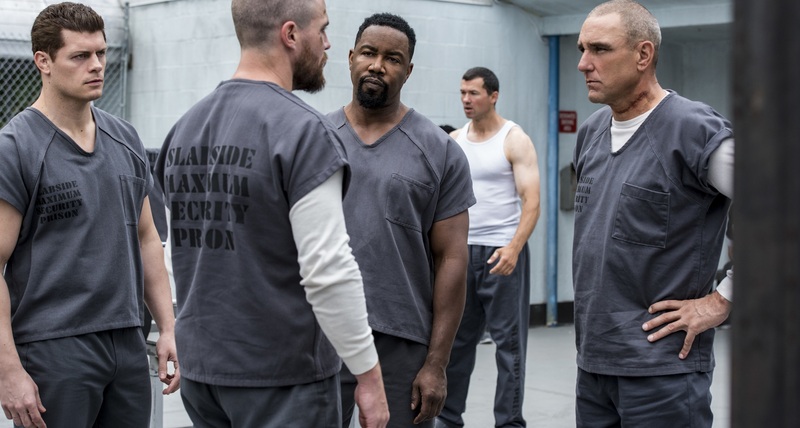 However, with Oliver in jail and Ricardo Diaz vowing vengeance, Felicity’s become determined to hunt him down at all costs, even if it puts her at odds with John Diggle and ARGUS, as the newest Arrow episode photos seem to show. Also, what’s going on behind bars between Oliver and the mean team of Brick, Bronze Tiger and Derek Sampson? Feel free to speculate below in the comments, and make sure to tune in next week for answers! “The Longbow Hunters” airs Monday, October 22 at 8 p.m. (7 p.m. CST) on The CW.